Oh, Porto, You Hidden Gem! Portugal! An understated destination, but yet has so much to offer its guests. I remember the first time I went to Portugal, I had no idea what to expect. I started by going to The Algarve, a popular destination to Europeans in the summer, and wow was it stunning! I couldn’t believe that I had never heard much of such a stunning place. That being said, I spent every summer for 7 years in the South of Portugal and even ventured up to the neat and eclectic Lisbon. Additionally, I visited the stunning and historic Sintra. If you go to Lisbon you HAVE to take the short train ride to Sintra! You would be highly disappointed if you didn’t! 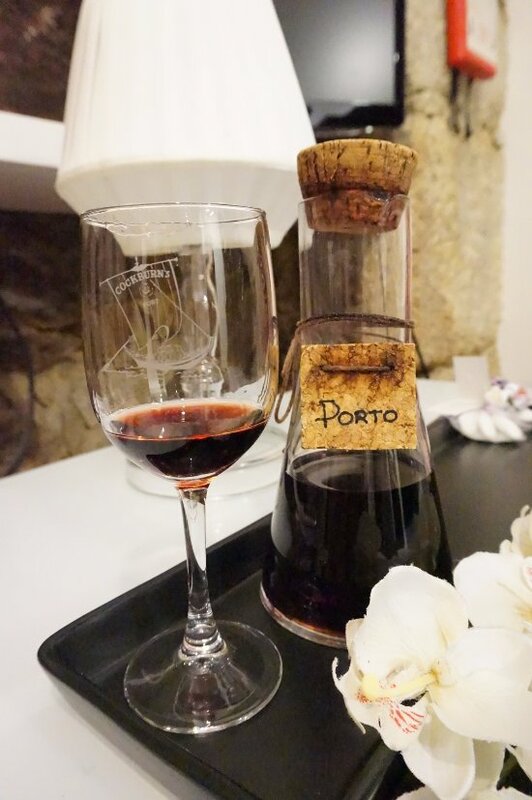 I had never visited the gem of Portugal’s North Region and the home of Port Wines, Porto. I went and what an incredible and truly special place it was! 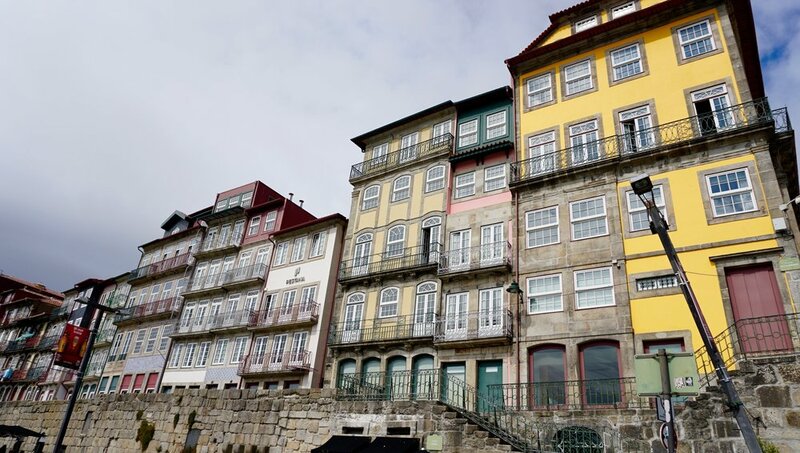 You can generally find cheap flights to Porto with Easyjet, TAP, or British Airways. Porto is a small hassle free airport and you can take the metro outside the airport to the center of town for 4 euro. It is relatively cheap and easy to use. Just hop on after buying your ticket, but make sure you validate it. It’s a short journey in. My first night in Porto I stayed at a small guest house called THE CHARMING HOUSE MARQUES which was adorable. The owner, Carla, met me at the front door and gave me a welcome drink, cake and showed me around. She gave me information about the metro and city sites to see. She also showed me to my room which was truly charming, very clean, and very large. The bathroom was exceptionally large. There was also a nice patio and garden in the back. She showed me the breakfast room and the next morning I had a delicious healthy breakfast. Carla also owns THE CHARMING HOUSE CEDOFEITA as well. She showed me photos of it. Another beautiful place to stay! I set out the next morning to site see. From the hotel, it’s a three-minute walk to the metro and then it’s a couple stops to the main square in town. You can exit the metro and walk right to the sites. Porto is a big city with a small town vibe. There are beautiful churches and chapels in the center. 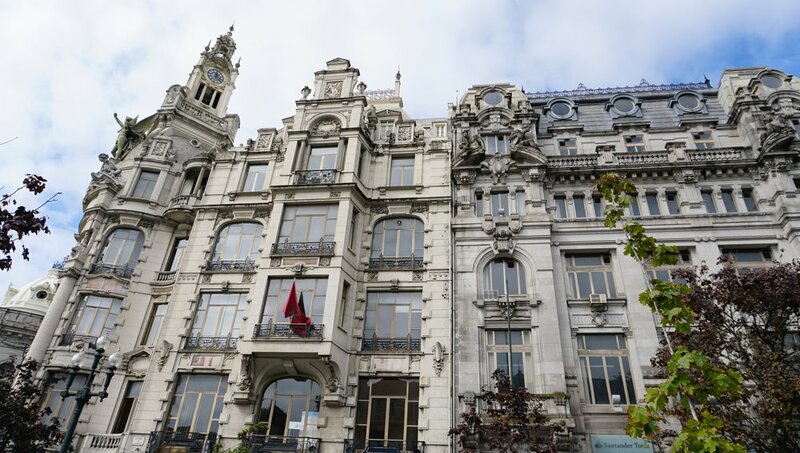 The buildings are different than you might find in other European cities. You can really tell their age and authenticity, but it makes them more unique and interesting. They were different and I liked that. I walked the entire city but it was so interesting and fun to explore little streets and alleys. It was a fun little area to get lost in. There was just so much variety to see and the houses were so cute and colorful. I love the style of the city! 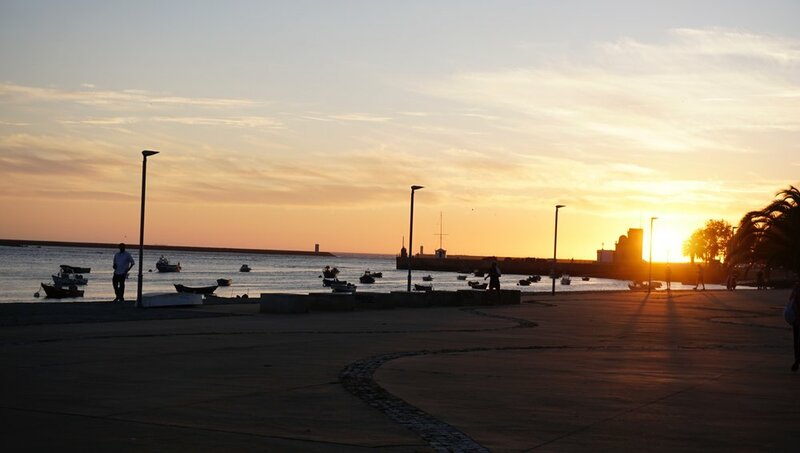 The people are so sweet and eager to show you their culture and the things they’re proud of in Porto, such as the port wines and the fish. I walked to the water and had a nice lunch and glass or two of Port. It was wonderful and cheap! The main tourist area that’s on the water is Cais da Ribera. The area along the water is so picturesque and so vibrant. I loved it. My next guest house was right by my favorite area of the city: The Cais Da Ribera and The Dom Luis I bridge. You can actually see it from the front of the hotel CASA DOS GUINDAIS, another large guest house with about 5 very large exceptional rooms. I stayed in the upstairs room with the garden view and it was so beautiful. I loved the rustic, authentic Portuguese charm to it. The owners were absolutely lovely and I had a really nice chat with them, they also showed me everything I needed to know about the house and my room and gave me all sorts of ideas for restaurants The even went up and above and got me into a fully booked restaurant I wanted to go to on the beach. I slept so well in this place. I felt so safe and cozy. I loved the stone walls and the details of the room. It was an experience I wish I had shared with a loved one. I will come back one day to do that. What a great place to spend a romantic weekend away with a loved one! The outside garden is stunning too. I sat out there and read. They had a relaxing fountain and rose bushes. It was just like something out of a fairytale book. I truly think it’s the best location to stay at in Porto! To my lady friends, put the heels away as the streets are cobblestone and there are a lot of hills in Porto. 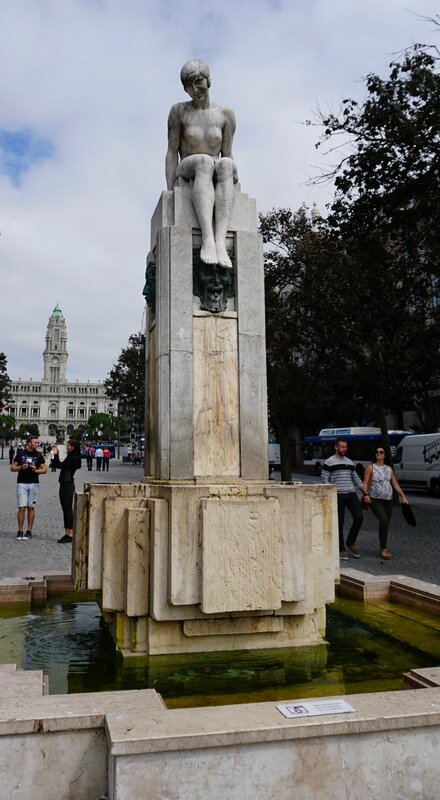 Some of the sites I enjoyed seeing were Porto City Hall, Ponte de Dom Luis I, Cais da Ribeira (lots of great views and cafes), Palacio da Bolsa, Clerigos Tower, Porto Cathedral, Igreja de Sao Francisco, Liberdade square, Funicular dos Guindais (near to my lovely guest house). 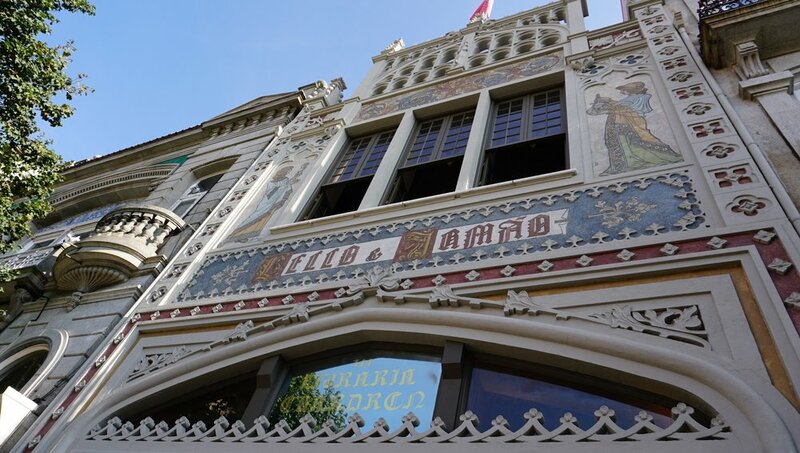 One thing I found to be a bit overrated and only a tourist attraction because of Instagram is Livario Lello. It is a very small, cute little bookstore but now it’s just a tourist attraction that the line outside is insane and when you get into the very small space it’s impossible to get a good photo. 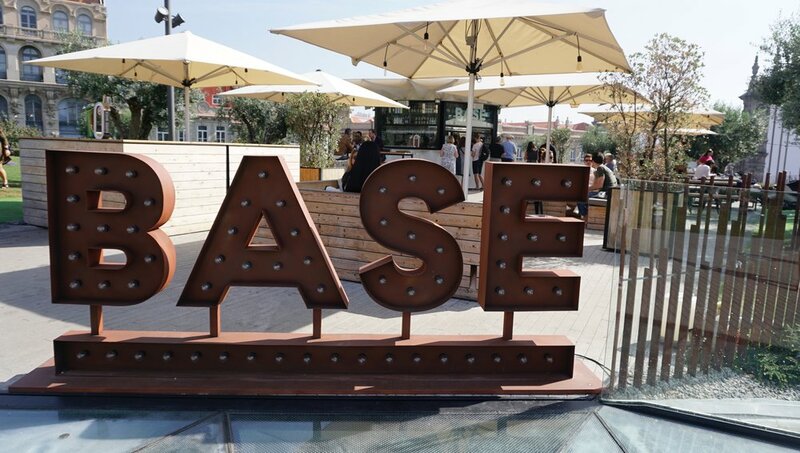 I’m convinced the one photo I saw of a blogger was taken when no one had posted it yet or it was closed because when I went I couldn’t even take a selfie without people in the background. It’s so small and gets very crowded. If your heart is really set on going, book in advance to skip the long line outside. In my opinion, you won’t miss anything by skipping this one. I regretted spending time in the line and inside when I saw the situation. To sum things up, I would absolutely put Porto on your list of cities to explore. It has a different feel to the other big tourist cities in Western Europe and I found it so charming! The people that live there are very lovely and you will certainly save on the budget there without having to sacrifice anything! 1. It’s one of the cheapest in the region of Europe. Perfect for budget travelers! 2. Bring practical footwear as there are loads of steep hills and cobblestone streets. They also get slippery when wet so be careful. Enjoy the exercise! 3. I wouldn’t rent a car as it’s a hassle and Ubers and taxis are cheap and there is a metro that is also cheap and efficient. 4. Enjoy free walking tours if you want all the information or do like me and just walk around the city and get lost. 5. You need cash! Make sure you have some Euros here as it’s not as credit card friendly as a lot of other surrounding countries. 6. There are English speakers here but not as many as you would think. If you are in a bind, try to speak a little Spanish if they don’t understand your English. 7. Pick-pockets are in every European city and although Porto isn’t as bad for them, they still exist here so be mindful of your handbag and don’t keep anything in your back pockets. 8. Porto is one of the oldest cities in Europe and you can really tell. That being said, it has a beautiful broken charm to it. I loved it. 9. 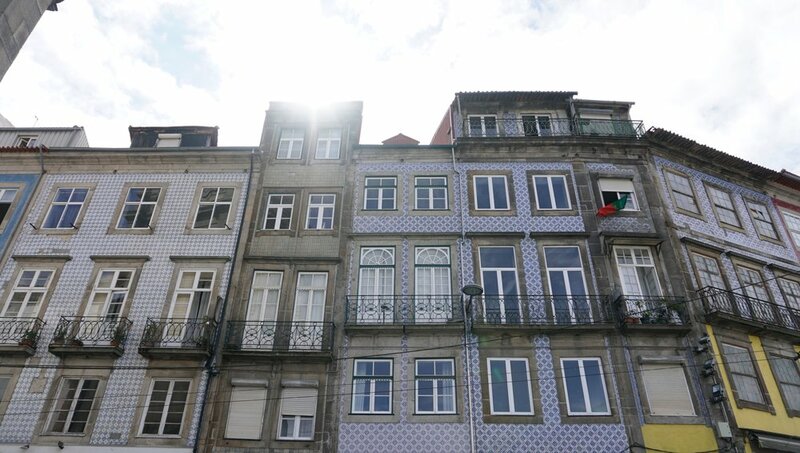 The weather in Porto is generally pretty warm, however, it does rain often so keep that in mind and check the weather leading up to your visit. 10. Try to get out of the city and go check out the beaches and the vineyards. The countryside is beautiful! 11. Get a Porto pass and you can enter 11 museums for free. There are also other discounts with this pass.